The HERO7 Silver digitally stabilizes your video to remove camera shake so that your footage comes out smoother and steadier. 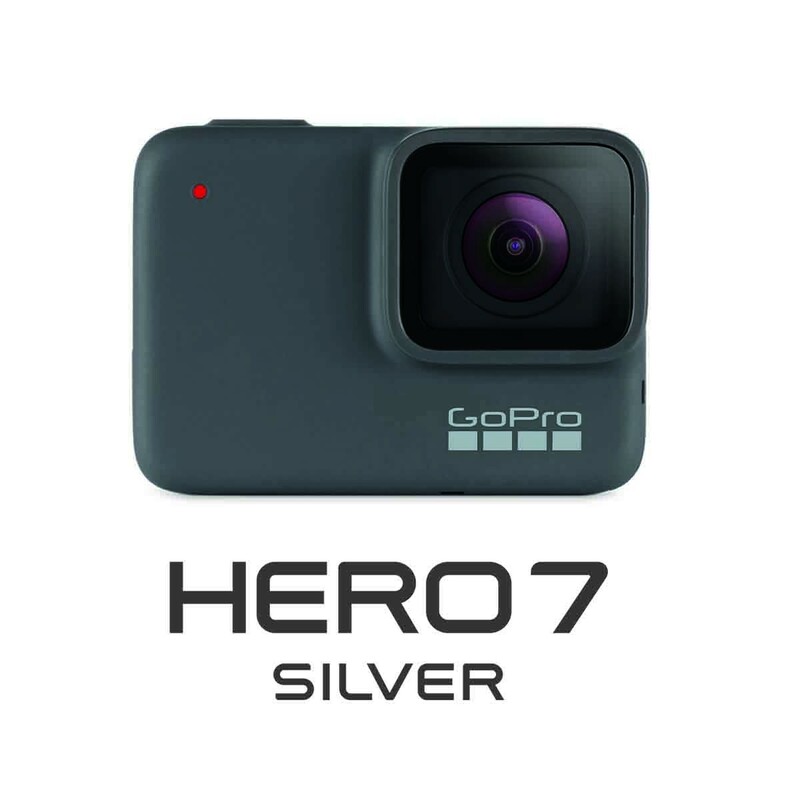 Control your HERO7 Silver hands-free with voice commands like "GoPro, take a photo" and "GoPro, start recording." 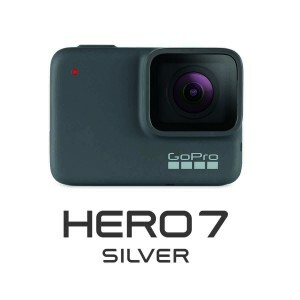 HERO7 Silver is waterproof down to 33' natively, without a housing. The HERO7 Silver's 2" touchscreen display allows you to quickly and intuitively jump right into the different capture modes of the camera. The HERO7 Silver is compatible with over 30 accessories that help you get unique perspectives and capture everything in more creative ways. GoPro and Quik apps allow you to access and edit your GoPro footage with simple-to-use yet powerful functions. Quik Stories combines the functionality of both apps, automatically downloading GoPro footage from your HERO7 Silver and composing an easily shareable montage of your adventures on the spot. Box Dimensions (LxWxH) 9.0 x 4.0 x 2.65"